Reason 9. Best. Reason. Yet. x]. 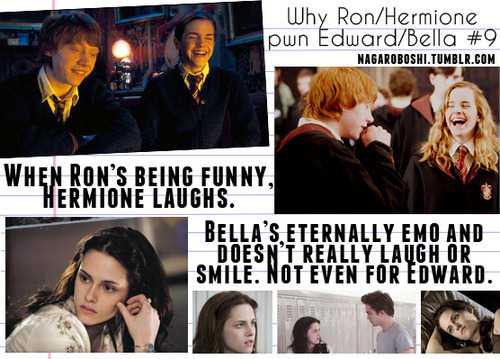 Wallpaper and background images in the Harry Potter vs Twilight club tagged: hermione granger bella swan ron weasley edward cullen emo. This Harry Potter vs Twilight photo might contain journal, papier, magazine, tabloïd, chiffon, livre, signe, affiche, texte, tableau noir, tableau, affiches, costume d'affaires, and costume d’affaires.